Today Senior Police Officer Jaime Padron will be symbolically laid to rest, he, this lovely sweet man was murdered in the dark of night on Friday April 6th, while most of us were safe and asleep in our own beds, the harrowing scene at the Walmart in north Austin was one of inconceivable sadness for the Austin Police Department (APD) and all of Austin. I myself awoke early about 4:00 am to my husband watching something on the DVR I changed the channel to MYFOX Austin, to the news of an overnight shooting death of one of our boys in blue. I had a sinking, horrid feeling that I knew the police officer who had been murdered. On watching the noon news I had a wretched validation, I did know him. 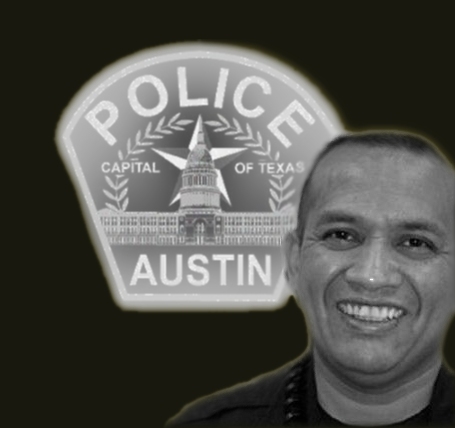 When my husband and I lived in Del Valle for many years, there was a sweet cop that I used to tease about buying soda and junk food at the bodega, it was Jaime, he was always quick with a humble little smile that light up a dark room. As I write this in this small moment in time, there is a massive procession from the Cook-Walden Funeral Home on North Lamar to the Shoreline Church on Burnet Road. Where at this moment, there awaits Officer Padron a saber cross of twin fire trucks with their ladders erect and crossed to greet him and as a Sigil of the solemn duty of acknowledgment of our fallen warrior. These men and women protect us, our property with their lives. The statistics are appalling according to the International Association of Chiefs of Police, last year's murders were the first time more officers died at the hands of criminals. What this means is our police are being targeted for execution by miscreants! 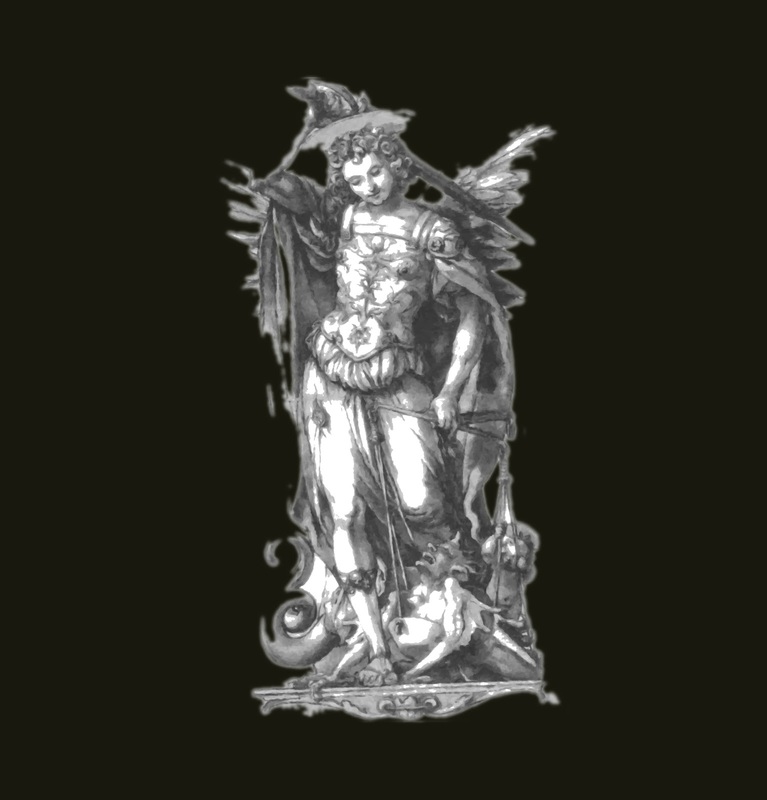 Saint Michael the Archangel, defend us in battle, be our defense against the wickedness and snares of the devil. May God rebuke him, we humbly pray. And do thou, O prince of the heavenly host, by the power of God thrust into hell Satan and all evil spirits who prowl about the world seeking the ruin of souls. Codladh go maith mo chara na déithe de mo shinsir tú a threorú chuig an spéir. Le haghaidh saol ina gcónaí go maith agus grá go bhfuil do gach am. Sleep well my friend may the gods of the ancestors guide you through the skies. For a life well lived and a love that is for all time.